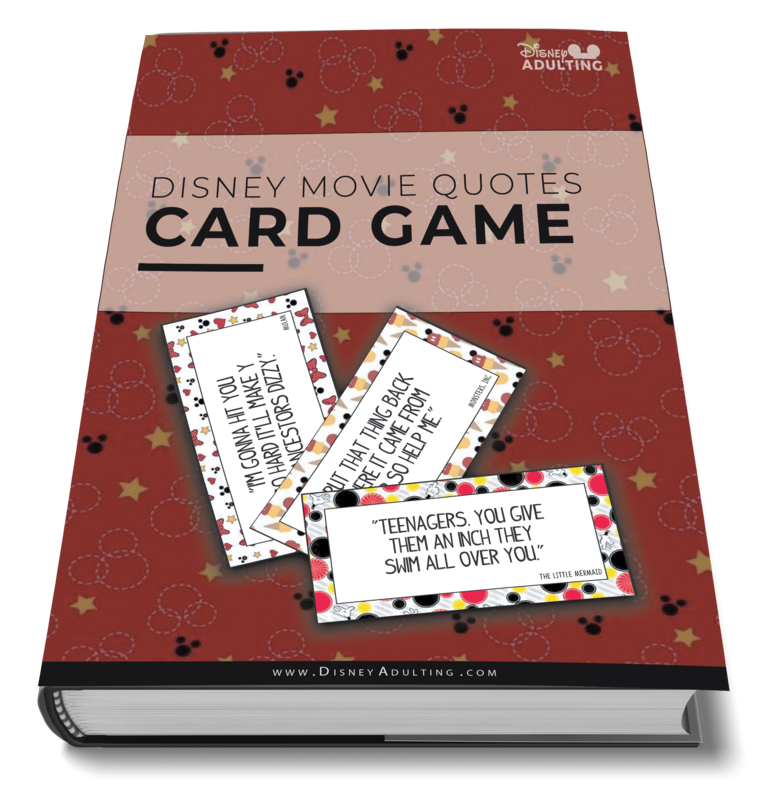 It’s easy “for Santa” to fill up a stocking for the Disney kid, but what about that grown-up Disney fan in your life? Don’t worry! Your personal elf at Disney Adulting did the work for you and gathered their favorite Disney gifts that are perfect as stocking stuffers for the adult Disney fan. Now, if someone would do this elf a huge favor and point my husband “Santa” in the direction of this post, I’d love them forever. Featuring everyone’s favorite mouse, this collapsible grip provides a secure hold for easier texting, calling, photos, and selfies and the expandable stand to watch videos, take group photos, FaceTime, and Skype handsfree. Easy and small “on-the-go” bag that can easily fit into your loved ones stocking this year. Get this limited edition four-pack of Tsum lip balms of your favorite characters with flavors of Marshmallow Pop, Strawberry Lollipop, Jelly Quakers, and Glamorous Cotton Candy. Officially licensed “one size fits most” (women’s 5-8) socks in your favorite characters from Disney and Pixar. Mickey and Minnie designed bags of Jelly Belly beans includes four assorted flavors. This official TY gift set bundle includes both Mickey Mouse & Minnie Mouse, one of the most iconic couples in history! These officially licensed earrings were created for Mickey’s 90th and come in several colors for birthstones or just for fun. They come in an adorable Minnie Mouse gift box. A Mad Libs starring the most beloved and recognizable cartoon character in the world: M-I-C-K-E-Y M-O-U-S-E! This Minnie Mouse pen and bookmark set is great for the office and school supplies, a gift, stocking stuffer or party favor.